It is always amazing to give a precious wooden touch to interior walls! For this purpose, the wooden wall shelves, display units and organizers may the best choices as also provide a functional behavior along with boosting up the beauty of overall wall area! DIY provides the free ways to do this, you can even build the wooden walls for free using no-cost wooden sources like pallets! 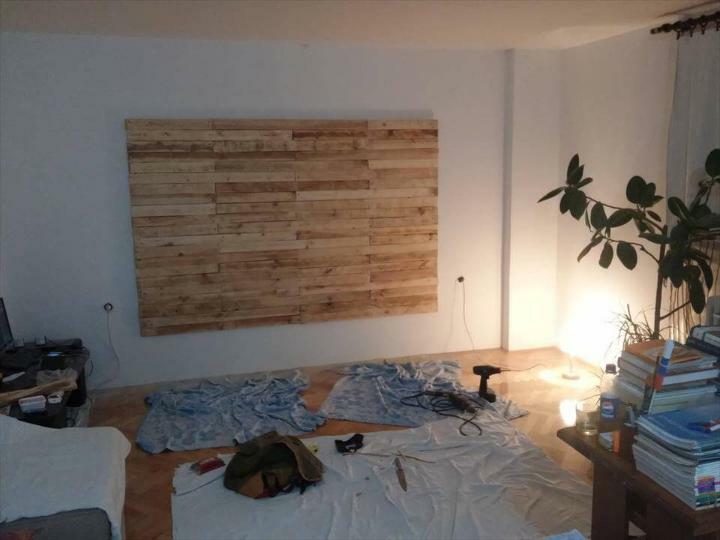 Let these DIY pallet wood wall ideas give your desired options as these are all about how you can use pallets for functional and visual boosts to interior walls! You can even install such a wooden walls to backside of your bed as they can serve as wall hanging headboards which can further be thought for magnificent bedroom decors also! 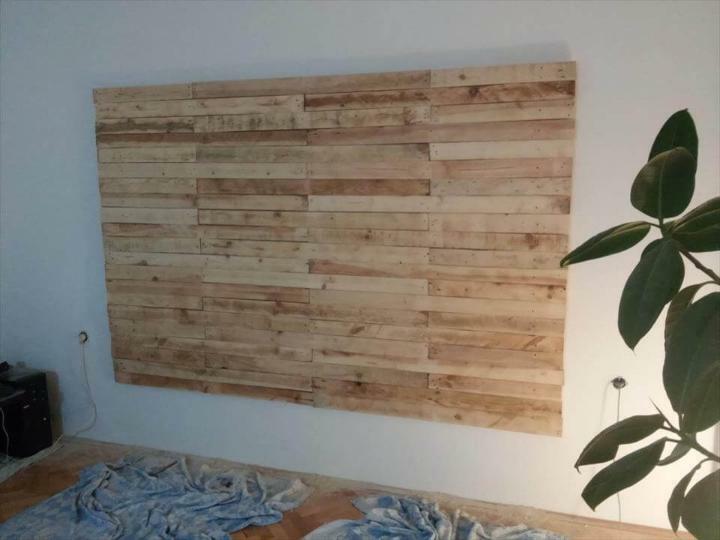 Not only the wall, you can even adorn ceilings by going with amazing pallet wood recommendations! Just tear the pallet and get them free from frame, this will give you lot of straight wooden lengths which would be super easy to plan for any wall paneling, fencing, flooring or shelving project! 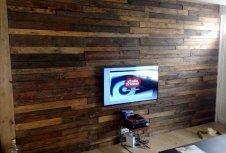 Perfect statement wooden wall, all you need to jazz up the interior wall areas! Installed with solid removed pallet slats filled in horizontal alignments! The area has been specified first before the precious wooden wall mount and hence going with measured dimensions really provide the precise and sharp boundary lines! Fix the pallets by adding nails using nail set and a claw hammer! Whole interior of a bar has been remodeled here with pallet for an improved functional behavior! 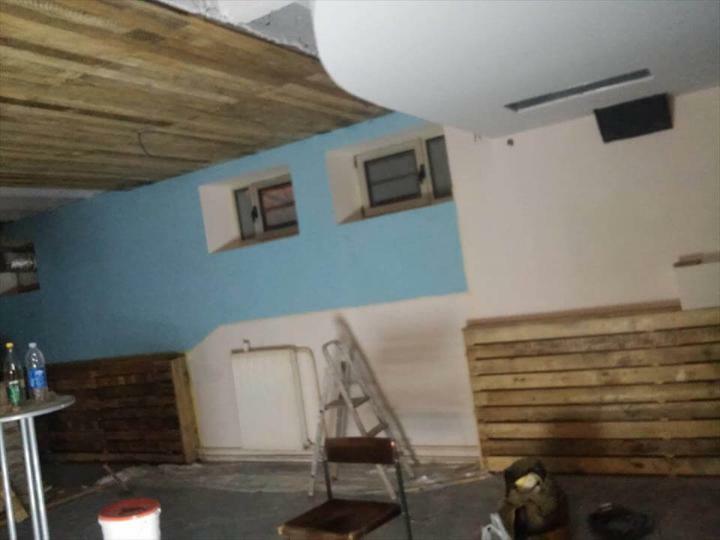 The project has been started by installing the wooden ceiling first! 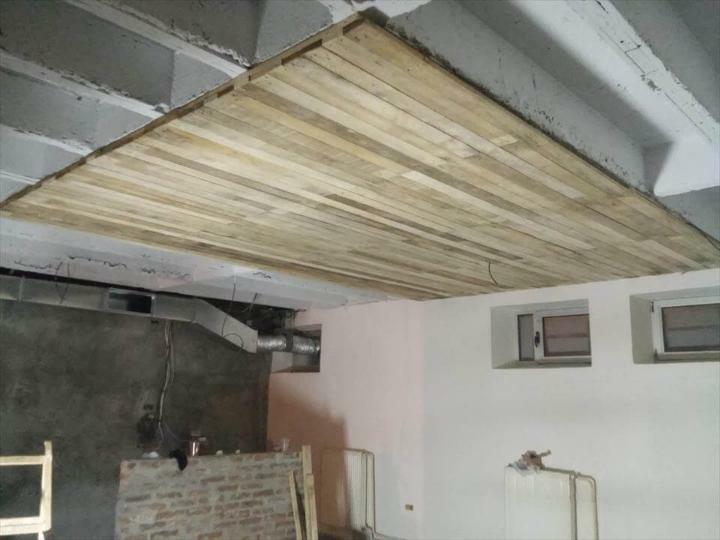 This pendant wooden wall will be amazing to install pendant light fixtures in this bar room! The lower walls have been given a thicker wood-paneling hence these paneled walls also serve as shelves to use for both decorative and functional purposes!